Halloween is soon approaching. People across the globe have started planning to celebrate the day in their own unique ways. Costumes, props, gadgets, apps, and other components related to Halloween have started appearing in the markets and enthusiastic buyers have already started to throng to these shops. 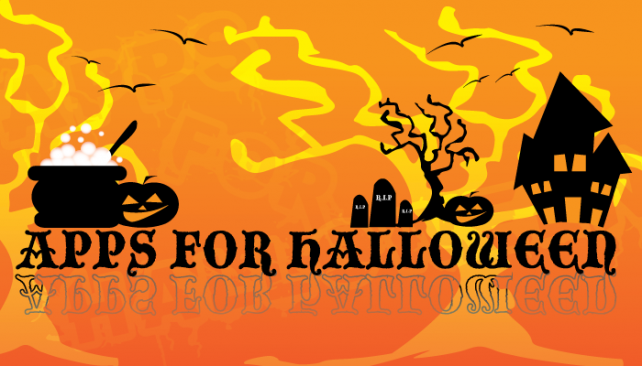 Smartphone developers aren’t lagging behind, in fact, they have geared up with a range of apps and games to help you collect Halloween themes, create Halloween post cards, and even get ideas on Halloween costumes. Trick or Tracker app is available for Android users. This app will allow you to track your kids’ movement and take care of their safety during the celebrations. This can go a long way to relieve you of your tensions regarding your kids’ safety when they roam around for trick and treat. For this purpose, the app is designed to enable you to easily locate your kids. The app could be installed in either yours or your kids’ phone. Once installed, the app instantly locates the ‘Trick-or-Treat’-er. First, set up the app on your kids’ phone and then add your phone numbers to it. Then you can ‘pair’ the child’s phone with yours. Once you ‘pair’ your phone, you will be able to locate your kid’s phone easily. The BEST HALLOWEEN RINGTONES app is available for Blackberry Smartphone users. This app is spooky and fun and is ideal for users, this Halloween season. The app offers Blackberryusers hundreds of ringtones that include ghostly narrators, haunted mansion voice, sounds of werewolves and witches, etc. You may also download scary caller ID (now the spooky voice will announce the name of your caller). You can download as many ringtones as you want with this app and can share with your friends. Another Blackberry Halloween app that you can download is the Official Halloween Movie Theme – Animated with Ringtone to customize your Smartphone with the themes of horror movies and apply ringtone, animation, icons and buttons. If you have downloaded some Smartphone apps on your Droid or Blackberry, then let us know how much fun and scare it spread around you and your friends and utilities of those apps to make you better prepared for the Halloween day celebrations.